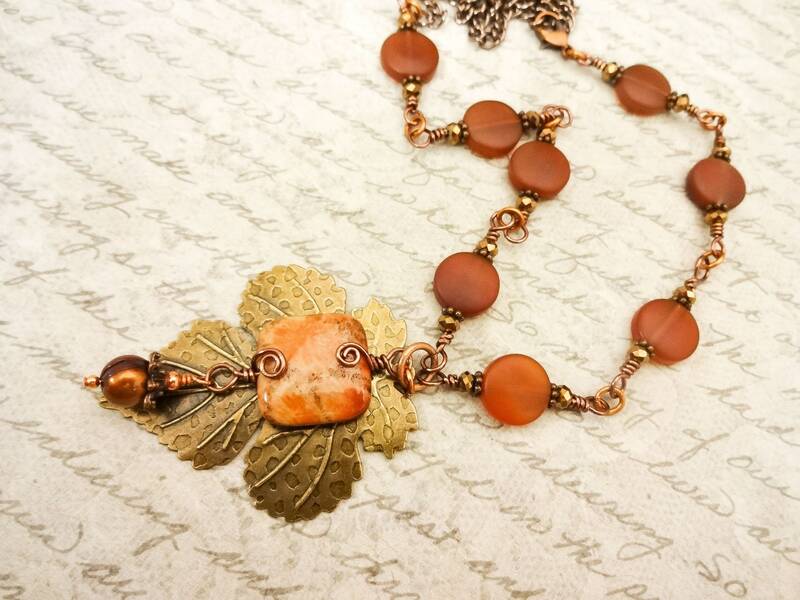 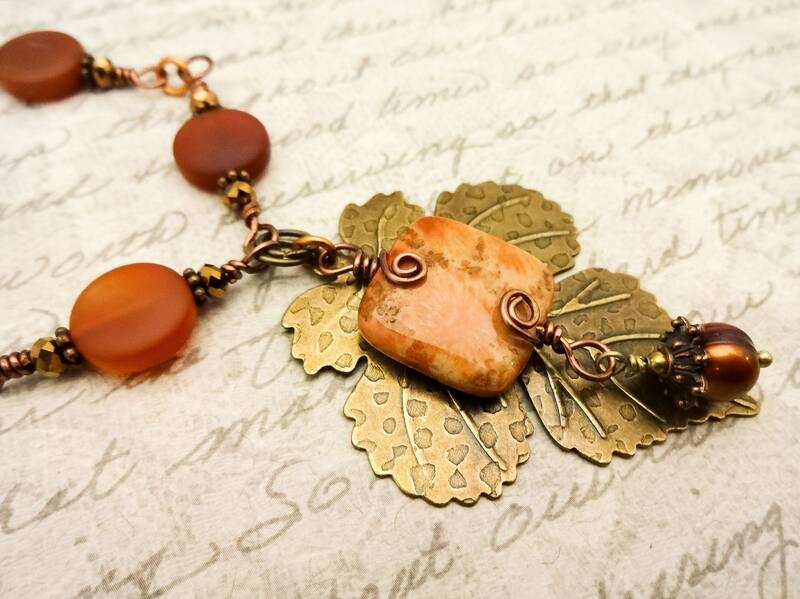 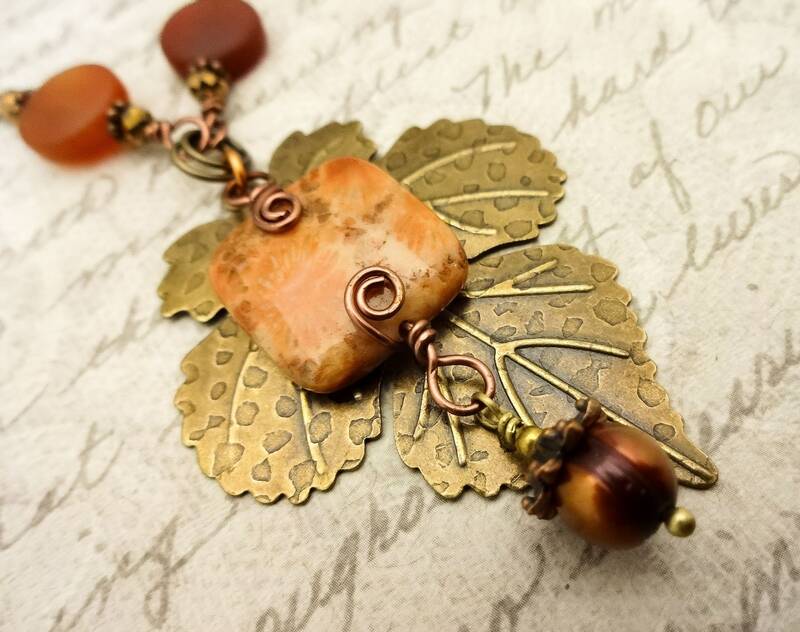 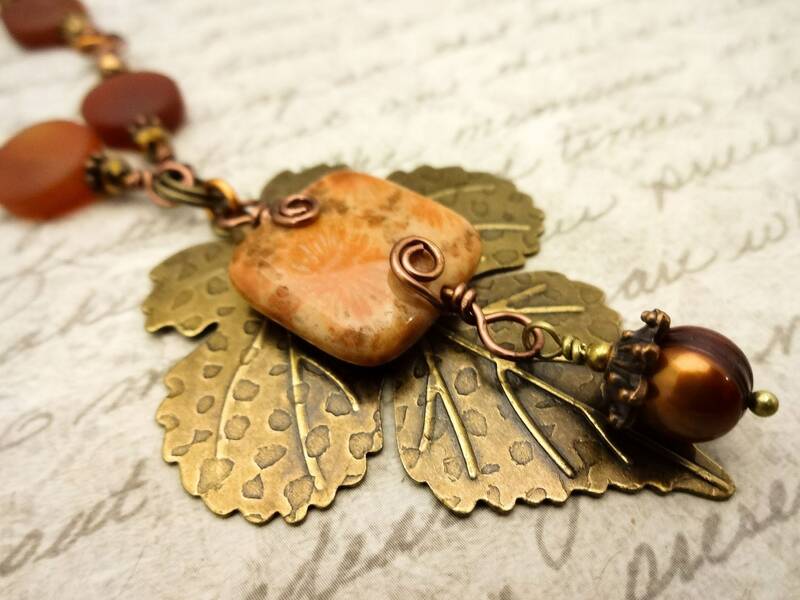 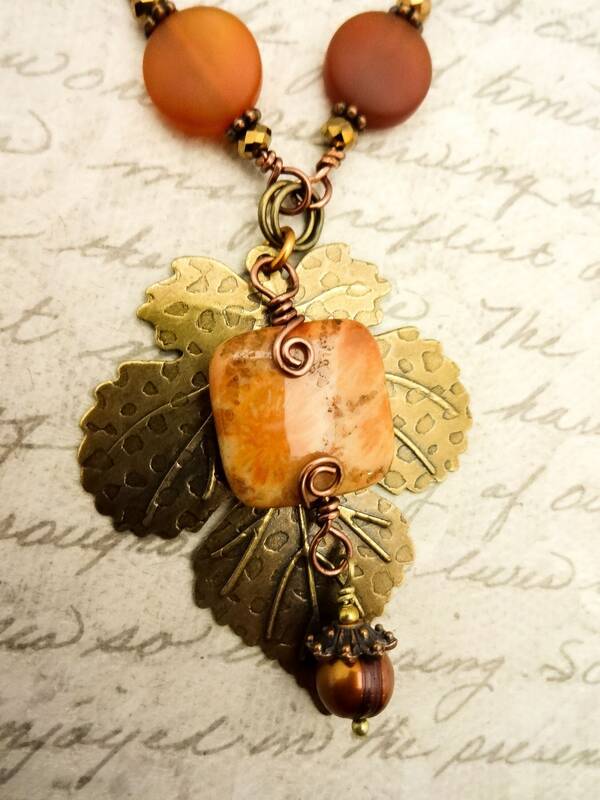 The focal on this necklace is a large brass leaf with a square Fossil Coral bead and a copper pearl with copper beadcap dangling from it. 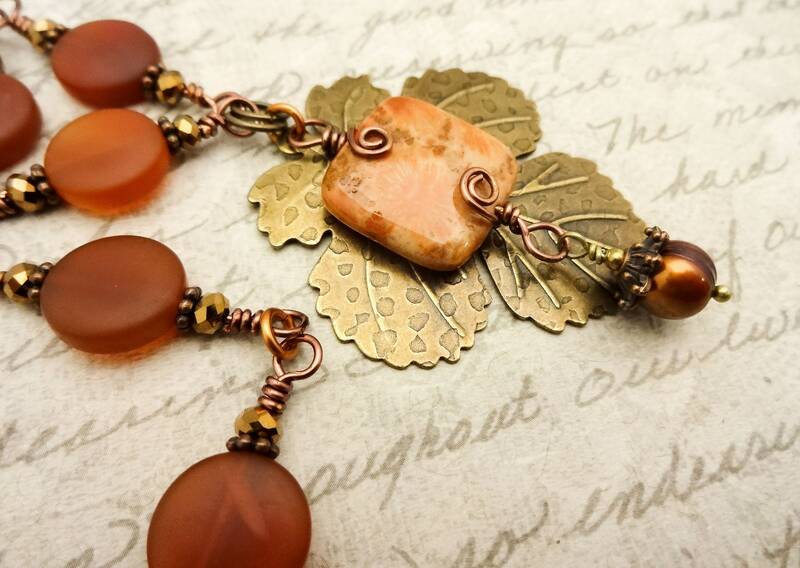 The sides of the necklace are comprised of four wire-wrapped links of dark orange matte carnelian beads with bronze crystals on each end. 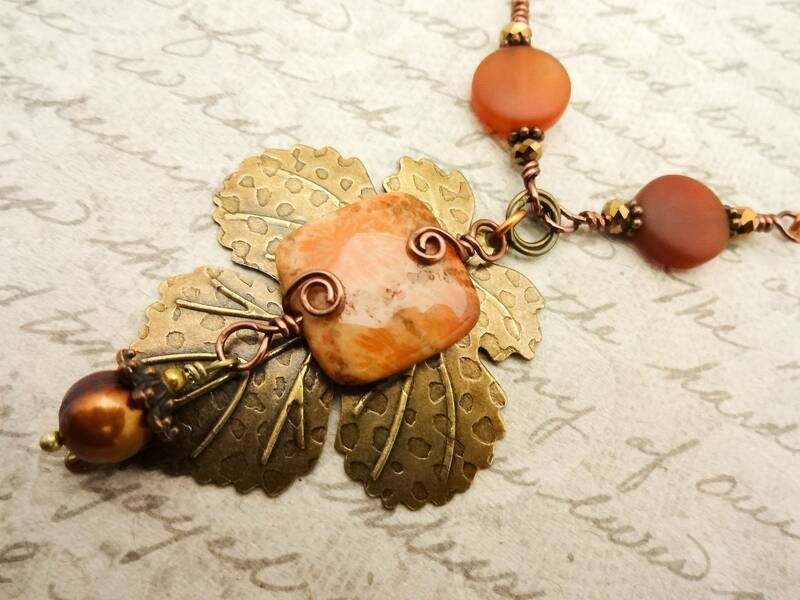 A copper lobster clasp attaches to one end of the links from a copper chain. 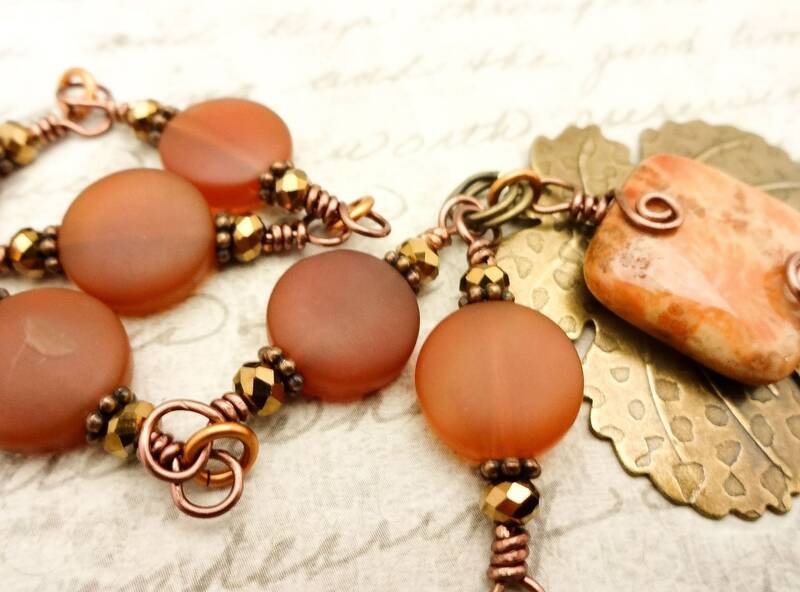 Antique copper wire is used for the links, and copper daisy spacer beads separate the Carnelian coins from the crystals. 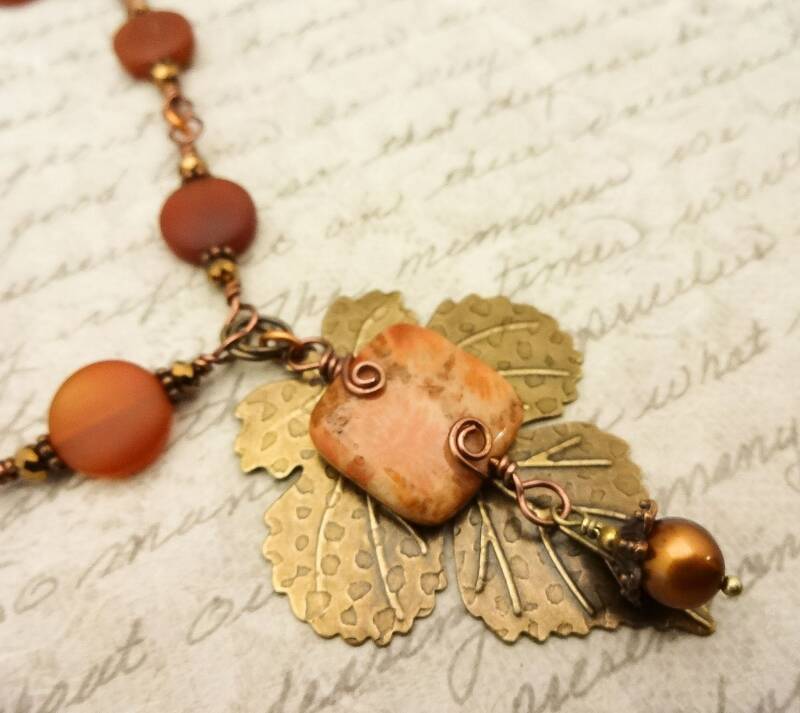 Copper jump rings connect the links, and antique brass jump rings connect the leaf to the fossil coral link. 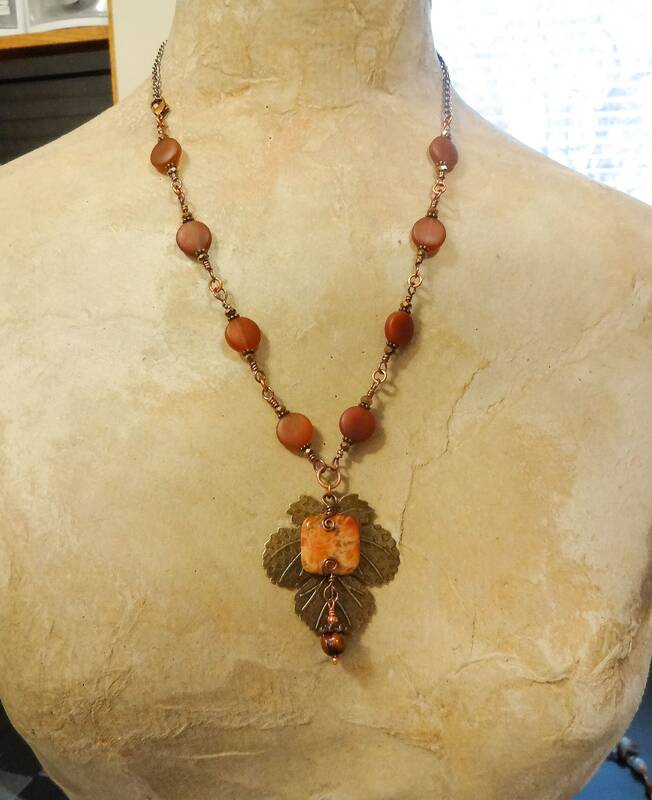 Closure is a copper lobster clasp.